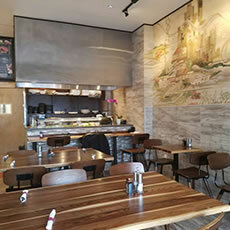 Oriental Empire Asian Restaurant of Red Bank, NJ is known for serving all your favorite Chinese, Japanese & Thai dishes, including Kung Pao Chicken, Beef with Broccoli, Vegetable Fried Rice, Seaweed Salad, Tofu Teriyaki, Pad Thai, Thai Curry Chicken. Oriental Empire is the sister restaurant of Eastern Empire in Ocean Township, New Jersey. Eastern Empire has a 15 years history of serving the freshest food in a clean and friendly enviorment, with top notch customer service. We will bring the same core value to Oriental Empire here in Red Bank. The staff at Oriental Empire has a wealth of experience in modern cooking techniques and practices. Using only the freshest ingredients to ensure we provide the highest quality modern cuisine. We have an open kitchen so you can watch as your meal is prepared before your eyes. We strive to provide a unique dining experience, which is both interactive and informative while you enjoy your meal. Whether you choose to dine in with us, or enjoy a carry out order at home or at work, Oriental Empire is the smartest and freshest choice for lunch, dinner, and everything in bewtween. For take out, please call in advance or place online orders. So we can ensure your order will be ready upon your arrival. We offer full catering for any event no matter how small or large. If interested please inquire with management for a quote. We also offer an online ordering service for your convenience. You can place an order for pick up or peruse our menu as well.